Delve into the world of audiophiles and you’ll find a sizeable number of advocates for the pristine audio quality of the vinyl record. Even if you don’t belong to the said group, it’s quite natural to be curious about experiencing one of the oldest formats of music playback still being sold commercially - which is exactly what convinced us to check out the Max LP Black turntable from ION Audio. Priced at Rs. 8,490/- on e-commerce websites, the unit comes with an interesting build. The body itself is quite attractive, sporting a sleek black finish throughout that shuns the idea of being limited to an old-school technology device. 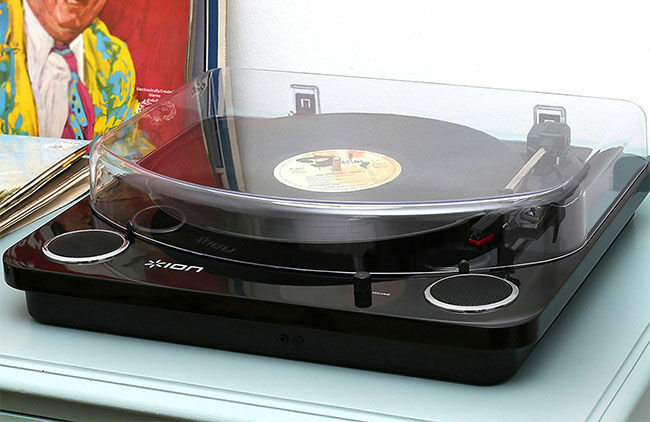 While gramophones of yesteryears might have been bulky, the Max LP is quite sleek with its dimensions at 4.06" H x 16.46" W x 15.24" D. It features an Aux-input port, a 3.5mm audio out for headphones and RCA outputs as well. 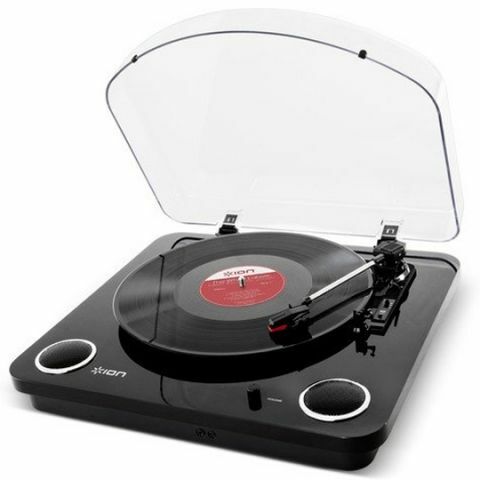 Through the included USB port and packed software, it also allows you to digitise your vinyl records. The aux-input port allows the same for audio cassettes. Regardless of your prior experience with the vinyl format, the Max LP is considerably easy to use. You plug in the power supply, pop out a vinyl record from its case, put it on the spindle at the centre and bring the needle on to the record - playback starts automatically. To stop playback, you need to use the raise/lower tone arm lever on the right which automatically stops playback once the needle is lifted. This makes traversing to the desired location on the vinyl easier without risking any damage to the record itself. 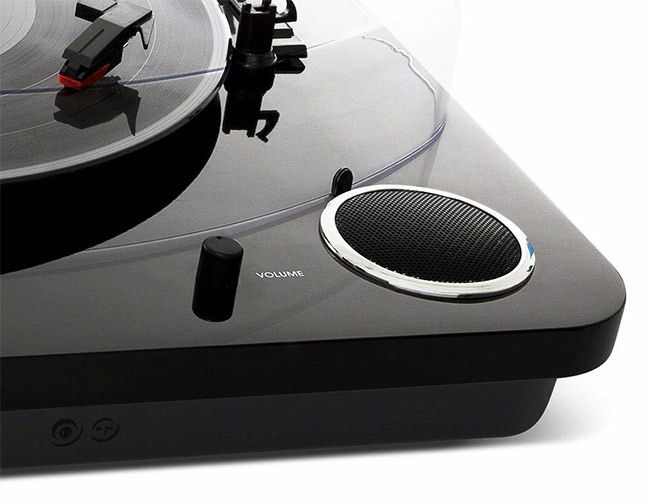 Max LP is capable of handling three speeds – 33-⅓, 45 and 78 RPM. It also comes with a small, circular 45RPM adapter that needs to go onto the centre spindle when playing 45RPM records. You also get a sliding speed toggle on the right to switch between the different playback speeds available. Toggling ‘Auto-off’ is also an option, which is useful in case you’re looking to clean it and need the turntable to keep rotating even without a record being on it. For people with huge existing libraries of vinyl records, the Max LP is a bonus since it allows you to digitise your old records. 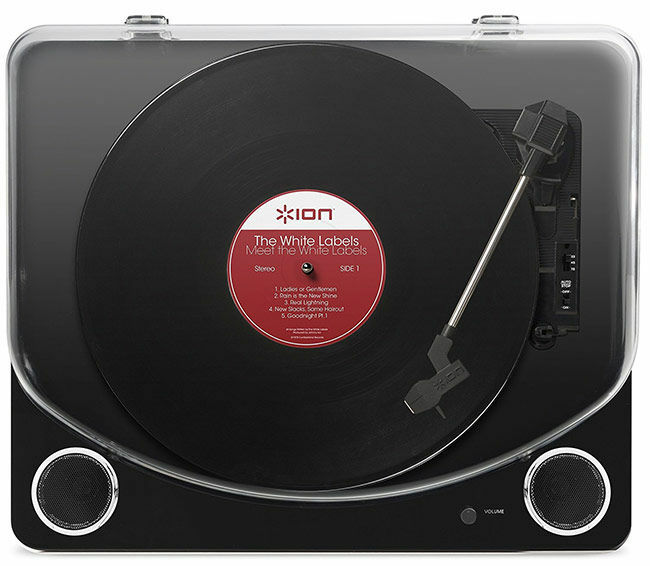 Overall, the iON Audio Max LP is a very nice and reasonable way of going full-audiophile and getting to boast about the sheer quality that you're experiencing. Go for it if you can't wait to bust out some vinyl records out of their cases.